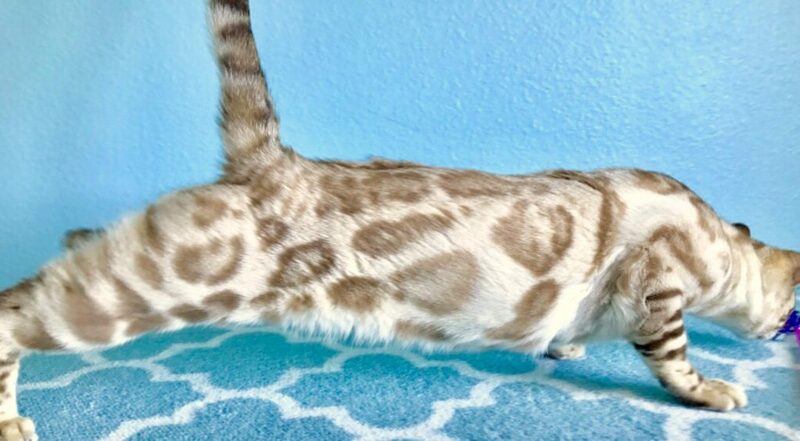 All our breeding cats came from long lines of Champion and Supreme Champion Bloodlines, and are full TICA SBT Pedigree Cats. All our breeding cats are screened annually by our USDA accredited veterinarians for health. All our breeding adults are FIV, FeLv, HCM normal, and PK Def N/N. King Orbit is a Seal Lynx with blue eyes. 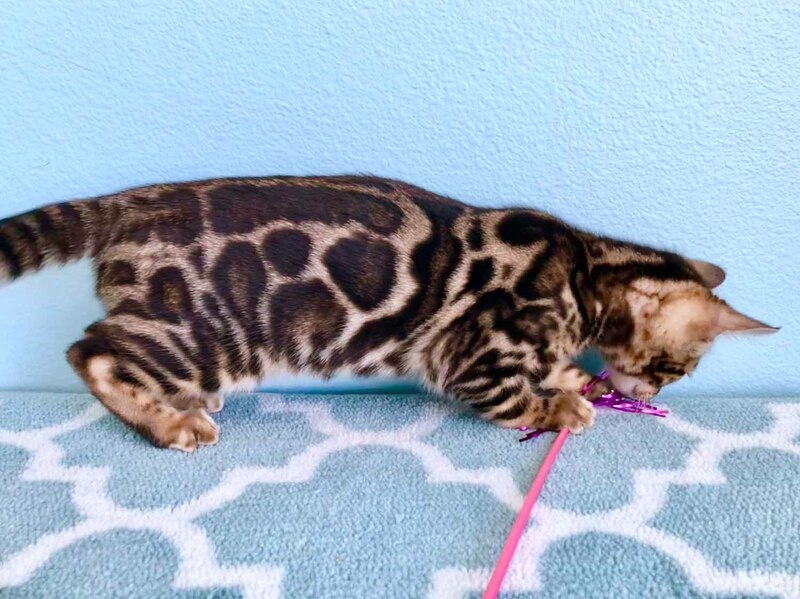 He has the most amazing Clouded Leopard markings on any of the Seal Lynx Clouded Leopards I've ever seen. King Orbit is playful and has the sweetest temperament. 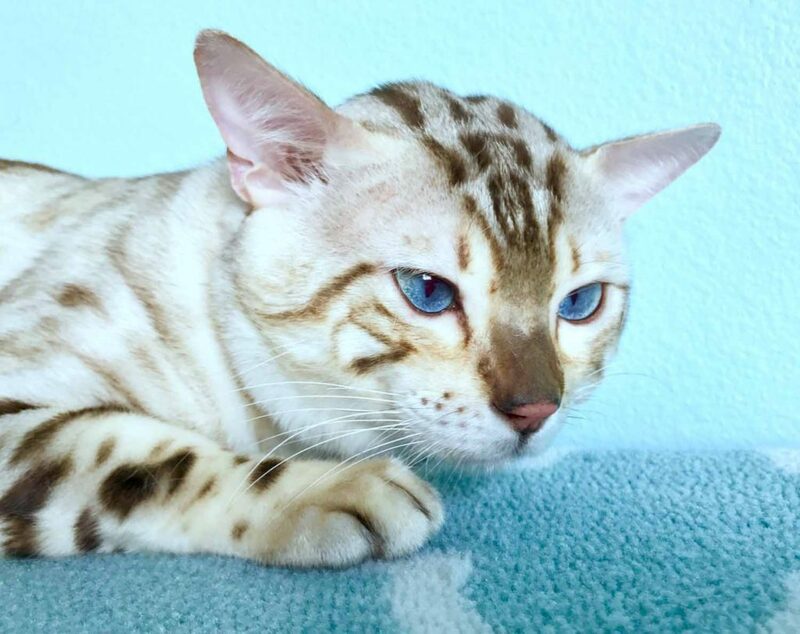 King Rocket is a Seal Lynx Bengal with the most amazing deepest blue eyes I’ve ever seen on Seal Lynx. All Seal Lynx has blue eyes, and most of them are light blue in color. 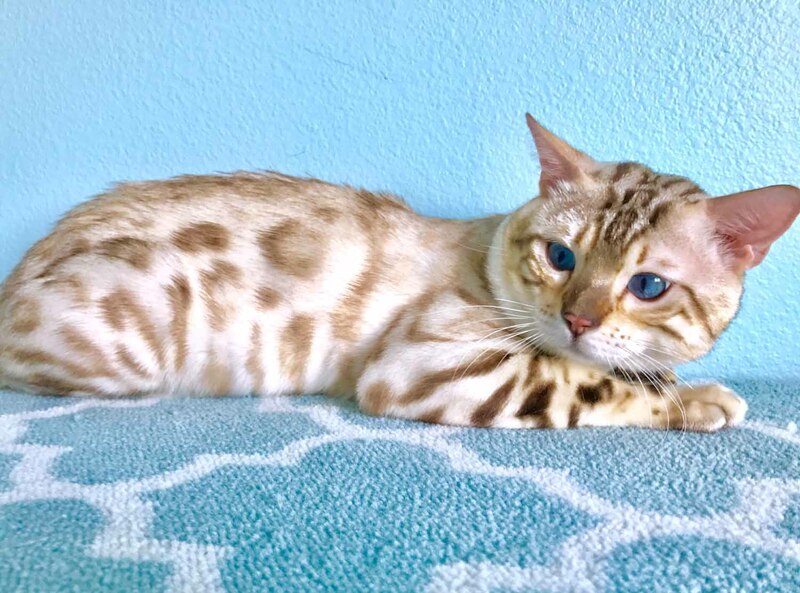 It is very rare to have deep blue eyes like Rocket has, and he seems to pass down his amazing blue eyes to his kittens. Rocket has a donut rosetted markings. Rocket is friendly and an amazing stud cat. 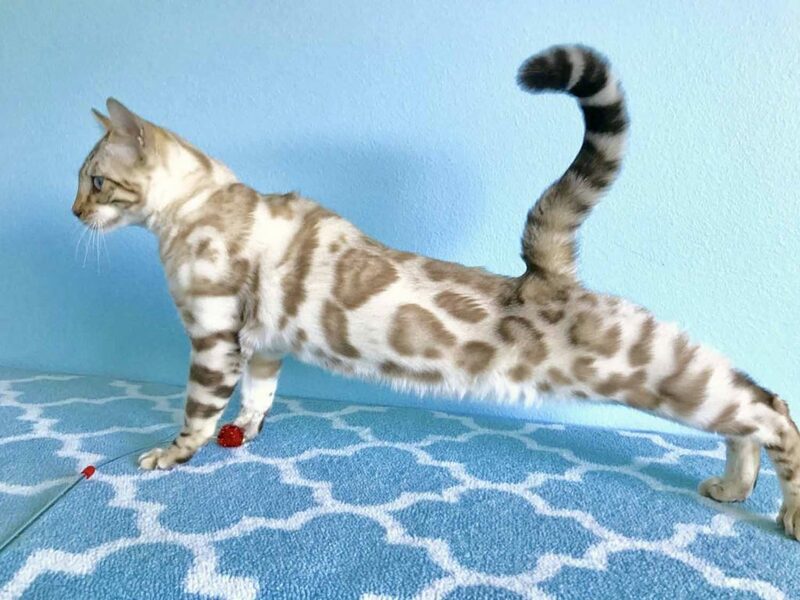 King Oreo is a Clouded Leopard markings Bengal. 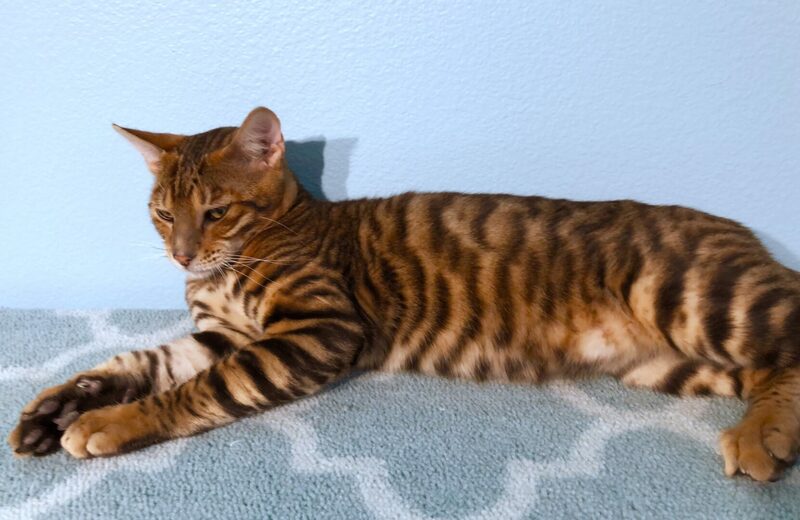 His markings are dramatic, the dark contrast and the huge rosettes are just amazing. Oreo is a very playful cat, just full of energy! 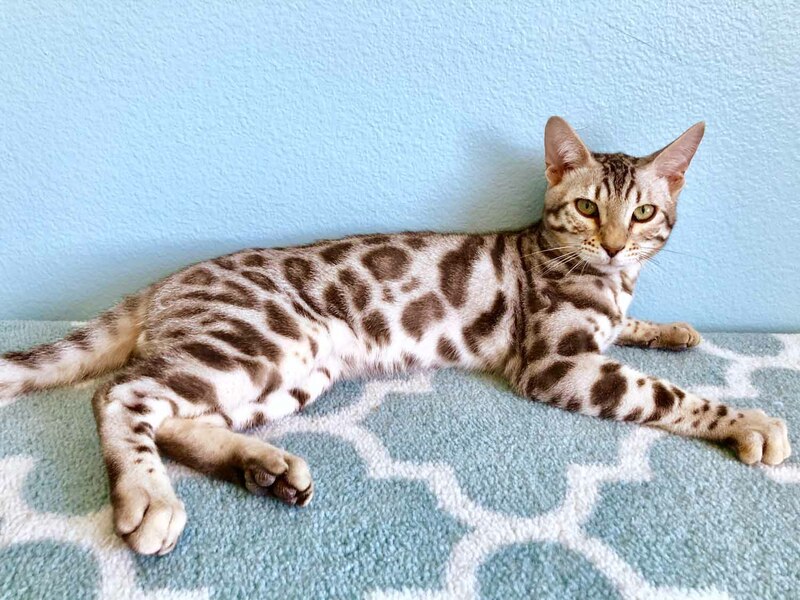 King Hercules is a Silver Bengal with donut rosettes. He was just a gorgeous baby, I knew I had to keep him. He was a very sweet kitten, now he is a sweet adult. 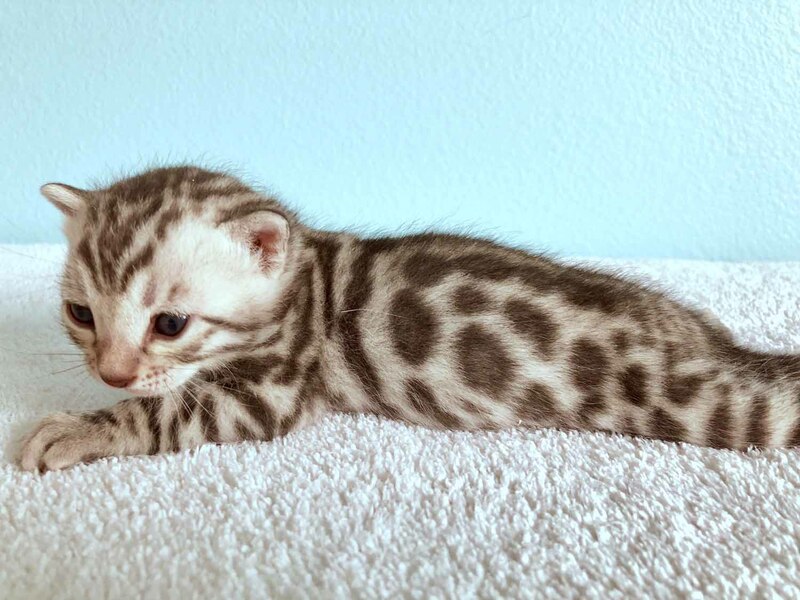 Hercules creates amazing silver and charcoal babies. 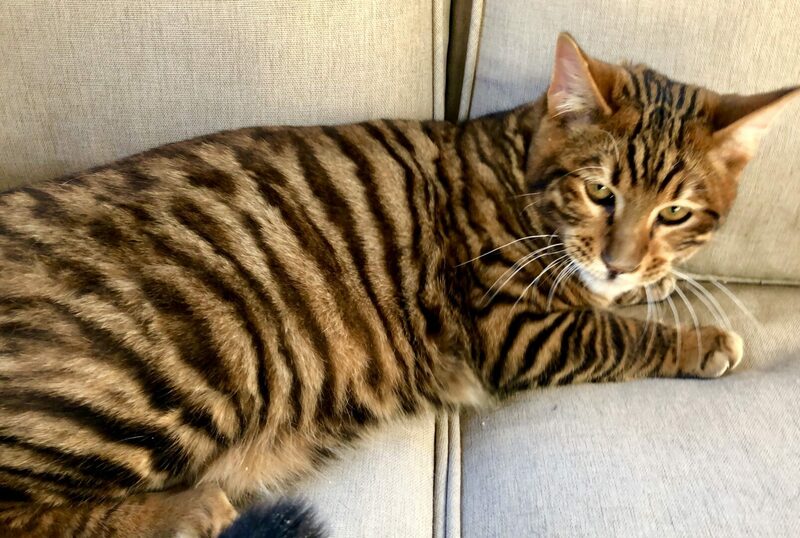 King Kato came directly from the creator of Toygers, Judy Sugden. I'm excited to be the only breeder in the entire western US to have her latest genetics. 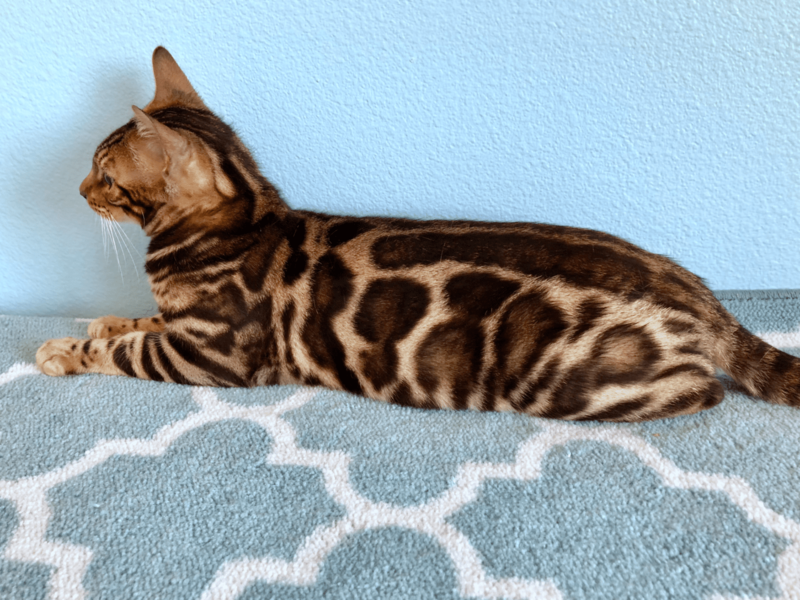 Don't let his Tiger looks fool you, Kato is super sweet cat. I just love him! 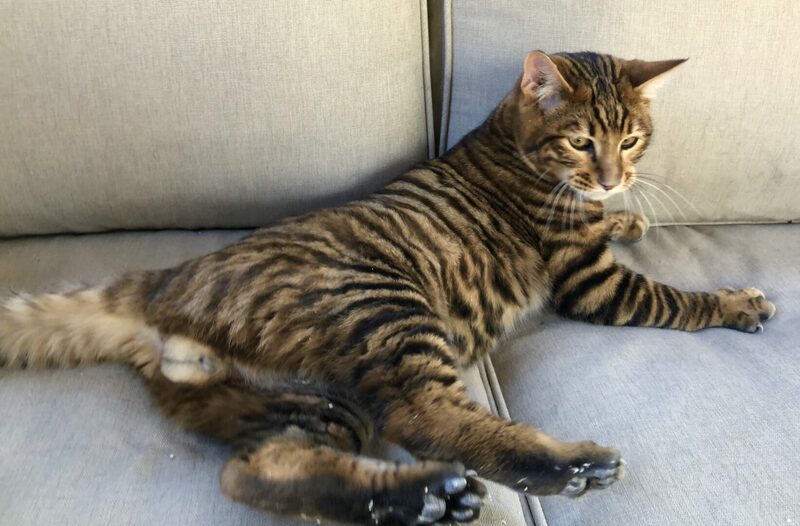 King Suma is gorgeous Toyger with amazing Tiger looking face. 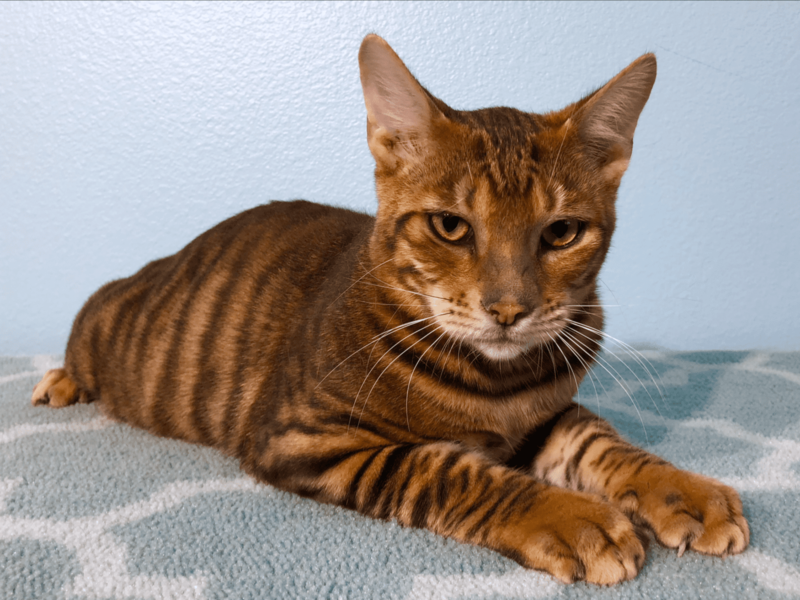 Don't let his tiger looks fool you, Suma is a total sweet heart.